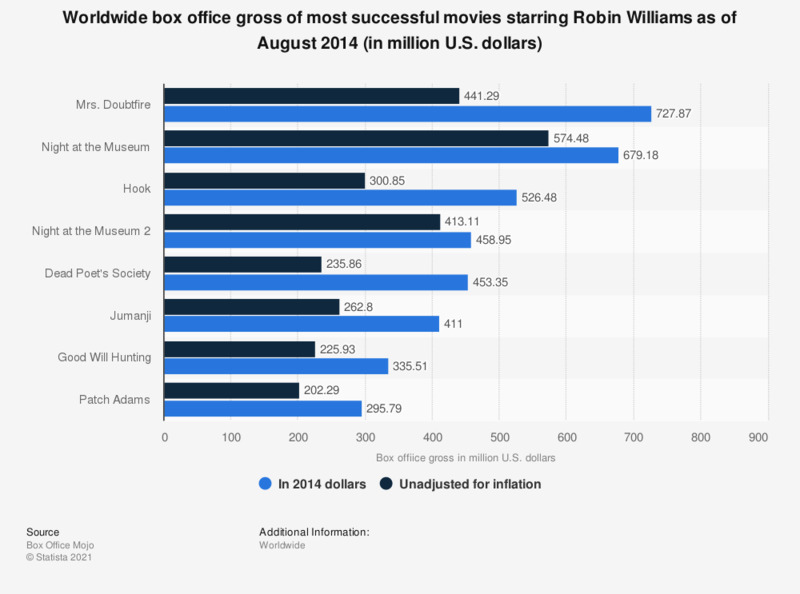 This statistic provides information on the worldwide box office gross of the most successful movies starring Robin Williams as of August 2014, with amounts provided in 2014 dollars and also unadjusted for inflation. The movie 'Mrs. Doubtfire' released in 1993 was Robin Williams' most successful movie making a worldwide box office gross of 727.87 million U.S. dollars equivalent in 2014 dollars.